First of all I want to quickly apologise for my crazy blogging schedule, not just now but also for the past few months. I guess I'm trying to figure out what works best for me and it turns out that being back home in Dublin doesn't actually mean that I have as much free time as I imagined. Anyway I hope you can bear with me whilst I'm figuring out a blogging routine that works best for me. So it comes to no surprise that today's post is definitely going live a lot later than I had planned, but better late than never right and we are still in the midst of summer so there's still time to talk about the Tweezerman Summer Collection*, which I received literally the day before leaving London. So I've clearly had quite some time to try out every single product from this fun collection and I am ready to report back. First up I've got the Tweezerman Mini Contour Brush Kit, which is my first introduction to the brand's makeup brushes as I know they have quite the varied selection. 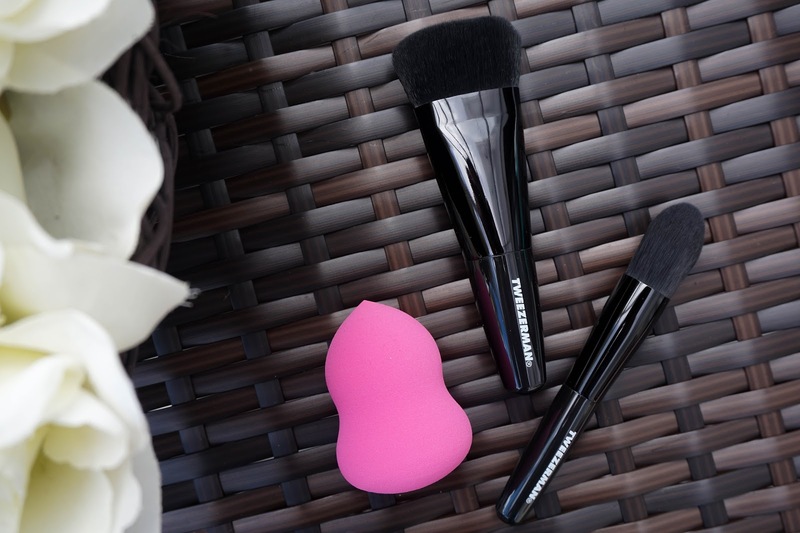 The brushes are amazing quality, really soft and densely packed so they definitely make contouring a breeze. They both pick up product so well, you literally only need to tap the brush lightly making application that much easier. Both contour & pointed brushes are travel sized, making them perfect for popping into your makeup bag. I'm not a huge fan of the blending sponge, even though it's non-latex and hypoallergenic... I guess it just doesn't compare to my much loved beautyblender. It's less bouncy than what I am usually used to, but it does work quite well with blending out concealer and cream blushes/bronzers. All in all it's a fantastic starter brush kit for contouring and I'm excited to try out more brushes from the Tweeerman Brush iQ range. 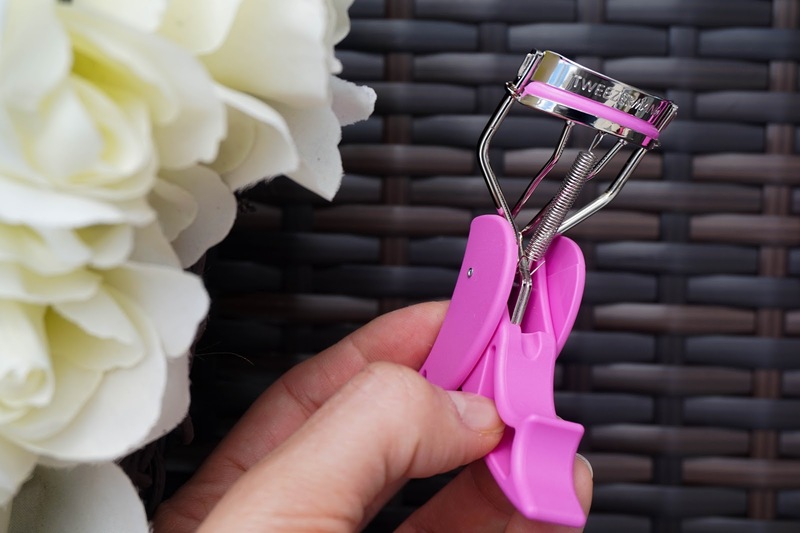 The Curl & Go Eyelash Curler definitely looks like a strange beauty tool, especially since I have only ever used the traditional kind of eyelash curler. 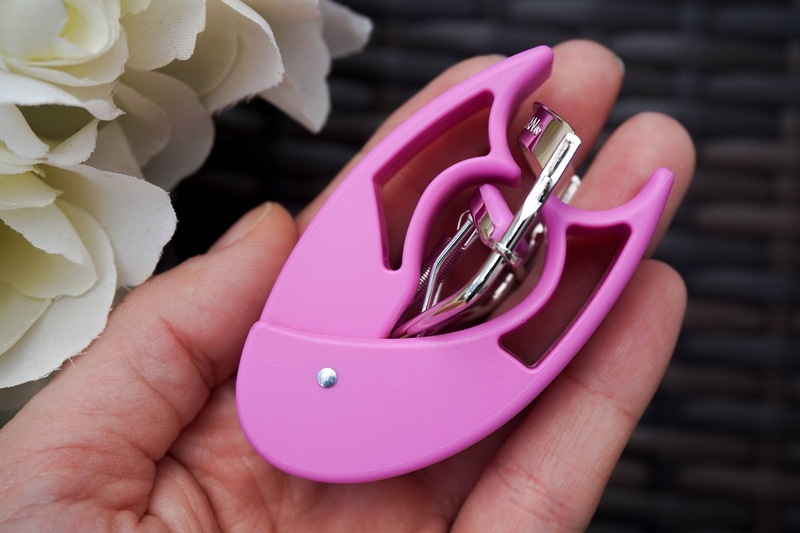 Again this was created with travelling in mind as it's the perfect compact eyelash curler. It does a great job of curling lashes, but for me personally I still prefer the traditional kind of curler (I actually have a great rose gold version from Tweezerman), simply because it's less faffing about and straight to the point. Plus once my lashes are curled and mascara is set for the day, I wouldn't bother carrying around a lash curler with me. But I do see the concept and think it's great that you can fold it down for travelling. Next up I've got a completely new device to my beauty routine and that is the Easy Finish Facial Hair Remover. 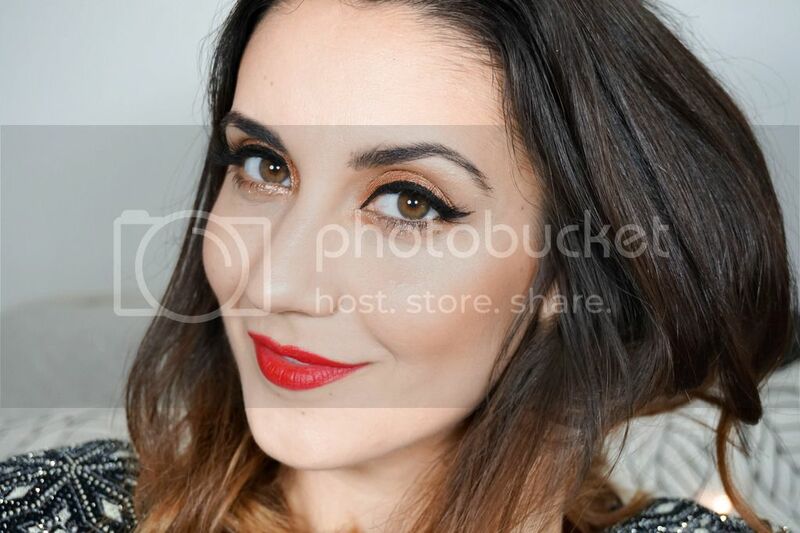 Let's face it we all have some kind of facial hair, I get my upper lip threaded on a regular basis back in London, which is painful but definitely worth it as once it's done my makeup applies super smoothly. Since I am now back in Dublin, this little device came in really handy for keeping my facial hair groomed. The down part is that it's quite painful, especially so when you're the one causing the pain (anyone else find that pain is a bit more manageable when it's someone else doing the beauty treatments?!). I also find that it doesn't grab every single hair and you might have to go over the area a few times to make sure the finer hairs are removed. Lastly I've got two tweezers, including a mini sized one with gorgeous, fun summer designs on both. I've always been a fan of Tweezerman Tweezers, they just last a long time & they work amazingly well at removing even the tiniest hairs. The Birds Of A Feather Mini Slant Tweezers comes housed in a plastic tube, so it's perfect for popping in your bag and having for on the go. The Moroccan Oasis Slant Tweezers is the same as the award winning original tweezers, but with a fashionable summer design. There's not much to say about these beauty tools because I've raved about them in the past and they work just as well as the original versions. 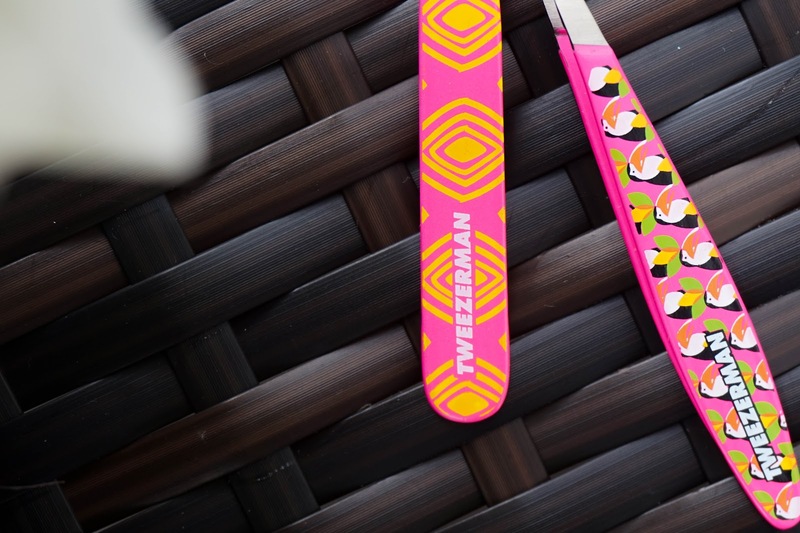 So that's it from this gorgeous Tweezerman summer collection... with some great beauty tools. I especially loved having my first taste of Tweezerman iQ Brushes and as always I'm impressed with the brand overall. What do you think of this fun SS16 Collection? Let me know your thoughts in the comments below.